It is no secret that believers and unbelievers argue a lot on the internet. But it is helpful to consider the nature of the disagreement. Experts on conflict resolution have identified a number of different sources of conflict, one of which is a “data conflict”, that is, a disagreement about the facts of the matter, perhaps because one party or the other is misinformed. The “correct” way to resolve a data conflict is by reviewing and reinforcing the information. People hold wildly varying views about Jesus. Many of the differences are matters of belief, but many are matters of evidence – they are data conflicts. People can disagree wildly about the historical evidence, such as whether Jesus was a historical person, how reliable the gospels stories are, etc. Of course there is scope for different opinions and beliefs on these questions, but there is a core of historical evidence that needs to be the basis of any discussion. As in any area of knowledge, we can only have the best information if we go to the experts. If I want to learn about the human brain, I need to read expert neuroscientists and psychologists. And if I want to know historical information about Jesus, I need to read historians and archaeologists. It would be nice if this was a straightforward process, but the experts often disagree about the facts. But there are some conclusions that historians are almost fully agreed on. But I keep finding people who say they base their views on the evidence, but who won’t accept the conclusions of the experts, and so the data conflict cannot be resolved. DASH is apparently a fairly active and committed group opposed to much of religious belief. Its website says it is opposed to “anything for which there is no need and no evidence”. The site discusses whether Jesus is a historical person, and makes three very definite statements that we can test against the evidence. There is not one shred of factual evidence to show that Jesus existed as a historical figure. The vast majority of scholars say otherwise – for example, I have compiled a list of more than a dozen quotes. Two scholars (Bart Ehrman and the late Maurice Casey, neither of them christians) have written books presenting the historical evidence for Jesus, some of which is summarised in Was Jesus a real person? So the experts think there is good evidence. I have corresponded at some length with a representative of DASH, and asked for the basis of the DASH claim, and he referred me to three sources – GA Wells, a professor of German who later changed his mind and concluded Jesus was a historical figure; Alan Dundes, an anthropologist who appeared in the DVD The God Who Wasn’t There, and the biologist Richard Dawkins. These are hardly historical experts! The “Christ” required certain characteristics common in myth (Dionysus for example): virgin birth, preaching, miracles, being put to death, rising from the dead, ascending into heaven. The claim that the Jesus story is just a myth, possibly copied from similar myths, is an old one (about 150 years old). But it has been since debunked by scholars, who say that most of the claimed parallels are spurious, or even invented, and the story of Jesus is unmistakably Jewish, not pagan in any way. No archeological evidence for the occupation of Nazareth at the time [of Jesus]. This is a strange claim, because archaeologists have found the remains of two houses and a farm, all of which they date to the first century, probably the middle of the century (just a couple of decades after Jesus) – not bad considering the site has a major city built over it. I have been discussing and blogging on the internet for about a decade, and a few sceptical memes seem to keep on appearing. Here are just two examples. There is no evidence for Jesus outside the Bible? This is often said. But Robert Van Voorst in his well-regarded book Jesus Outside the New Testament lists 7 classical (Roman) authors writing in the first two centuries who make some mention of Jesus. All are very brief and say very little, but the reference by Tacitus is fairly clear. Several Jewish sources mention Jesus, the most important being Josephus, who gives a good description of Jesus’ ministry and a second brief mention. It is common for sceptics to argue that the references in Tacitus and Josephus are interpolations by christian scribes, and it is true that scholars are convinced that there are some interpolations in the main copies we have of Josephus. But sceptics often omit that the majority of scholars agree that even when the apparent interpolations are removed, the bulk of the Josephus reference remains and confirms the main aspects of Jesus’ life. 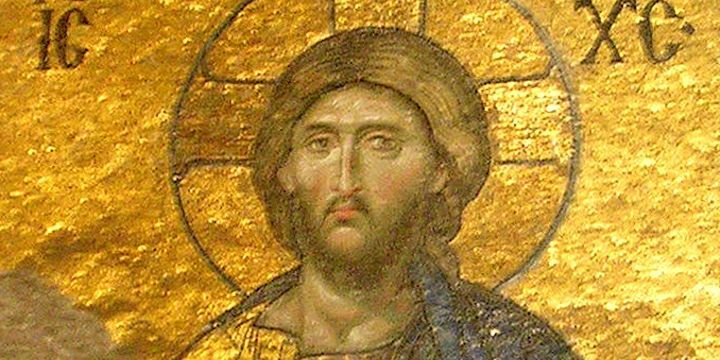 Why don’t contemporary historians mention Jesus? Some sceptics go further and ask why there are no contemporary references to Jesus. It isn’t always easy to know how contemporary they want references to be, and Josephus wrote before the end of the first century. Van Voorst says the writings of many first century classical historian have been lost, but it would be unlikely any of them would have referred to Jesus, because most Roman historians seemed only to be interested in christianity when it impinged on Rome’s interests – this occurred later, but a crucified Galilean presented no obvious threat. In my decade of discussing religion on the internet, I have tried to identify when the issue is a data conflict, and focus on that before getting into differences of opinion. Yet logical as that strategy may be, I’d have to say it rarely works out well. I genuinely try to obtain the best facts before forming or modifying my opinions and beliefs, but rarely are these facts accepted. Sometimes people do accept the evidence of the experts I reference, sometimes they present reasonable alternate evidence. But by far the most common is outright denial of expert evidence based on non-experts sympathetic to their viewpoint, or else simple refusal to address evidence at all. Our thinking processes are complex, and there are probably many factors involved in this behaviour of denying or ignoring expert opinion in favour of information that reinforces what we want to believe. But here are a few ideas I have found. But motivation also plays a part. Our reasoning can be aimed at accuracy, but more often we are motivated to arrive at particular conclusions, provided we can construct a reasonable justification for these conclusions.This can easily lead to seeking out sympathetic information, even if it is from doubtful sources, as a bulwark against good information. This is especially likely to occur if we experience cognitive dissonance, when new information significantly threatens our existing viewpoint, we become psychologically uncomfortable, and look for ways to ease this. Various mechanisms can be used, consciously or unconsciously, to avoid inconvenient facts. “We push threatening information away; we pull friendly information close.” (political scientist Arthur Lupia) Facts and argument can backfire and entrench us deeper in our mistaken views. When faced with critical thought or aggression, people may disengage and “simply assert their personal opinions without justification”. But in the rare cases where other people are interested, people may then think issues through more critically (Lerner & Tetlock). You can never win an argument online? I’m not sure if I’d be that black and white, but there’s a lot of truth there. Believers and non-believers, all of us in fact, are susceptible to these processes. And I’d have to say that the psychologists appear to have described well the behaviour I have come across so often, where Jesus-sceptics prefer out-dated, non-expert or self-serving “information” to the consensus of experts. It’s goodnight from me …. I suppose the first response (if we’re concerned about truth) is to review our own behaviour. Do I behave this way? Often? Am I willing to review my beliefs? Do I ever actually review my beliefs when I see compelling new information? I don’t think anyone thinks it sensible to try to review beliefs every time a small piece of contradictory evidence is found. Life would consist of little more than contemplation! But if we engage in discussion on the internet, if we write blogs or books or newspaper articles, if we preach or speak or teach, sometimes we must surely need to review. If we want to communicate and change, or at least challenge, entrenched opinions, we may need to re-think our strategies. Certainly I will be (and have been). Is it worth talking with people who have strong but contrary beliefs? How do we know who is never going to reconsider? How do we reduce the likelihood of one of these negative response? But, sadly, it seems that more often than not, this will prove difficult. This is something I want to come back to. Do you have any thoughts on all this? « A foolproof argument against the resurrection?